HÀ NỘI — Dung Quất Biofuel Plant in the central province of Quảng Ngãi produced its first batch of E100 ethanol fuel on Friday five days since restarting, company officials announced. 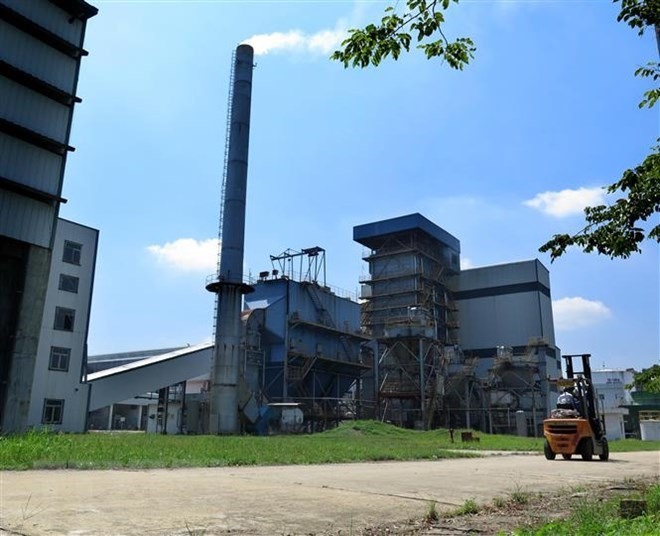 According to Phạm Văn Vượng, director of Central Biofuels Joint Stock Company (BSR-BF), which operates the plant, the capacity is 9 cubic metres per hour and will be increased in the future. Sài Gòn Sundries Investment and Trading Joint Stock Company (Tocontap) - BSR-BF’s partner will be responsible for buying and distributing all of the plant’s products for the next 12 months. The company is formulating a plan to produce more in the future. Production will continue until October 28, then be halted for several days so technical checks and maintenance can be performed before operation begins. During the first two weeks, the plant is expected to run at 65 per cent of capacity to produce about 2,000 tonnes of Ethanol. Dung Quất Biofuel Plant was completed in 2012 with total investment of VNĐ1.9 trillion (US$81 million). However, it was forced to close on April 2015 due to falling oil prices and rising input costs, causing the plant to incur significant losses. The plant resumed operations on October 14 after three years of closure. It is one of 12 loss-making projects managed by the Ministry of Industry and Trade.